After being away for the past 2 weeks doing extensive research all paid for by Sportsroids.com to better your fantasy football knowledge, I’ve only came up with one solution – INCONSISTENCIES!!! Okay, I lied about getting paid to do extensive research. However, it doesn’t take a rocket scientist to know that we’re seeing a lot of inconsistencies with our players and we don’t know who to start anymore. So here’s the problem that I will answer in this article; who should we start? Play the game smart. Now is not the time to look for sleeper picks unless your starter is hurt. 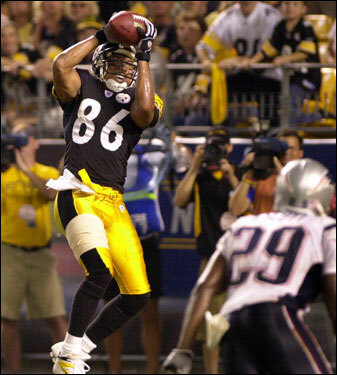 Wide Receiver Hines Ward of the Pittsburgh Steelers is an example of a very inconsistent starter. If you have him, you cannot risk not starting him in week 13 even though he did terrible in week 12. Quarterback Brady Quinn of the Cleveland Browns is another inconsistent starter. He did great in week 11, but had to leave after the first half in week 12 to let Quarterback Derek Anderson in to possibly spark any hope in coming back. The only difference between Brady Quinn and Hines Ward is, don’t not start Brady Quinn. Look for another quarterback asap. Quarterback Matt Cassel of the New England Patriots is an awesome quarterback and I’ve always believed he’d produce and he is. If he hasn’t been picked, pick him up NOW and start him if you are having quarterback problems. Running Back Reggie Bush of the New Orleans Saints is a keeper but I wouldn’t start him in week 13. Right now, Running Back Pierre Thomas of the New Orleans Saints is looking pretty good especially with week 12’s game ending with 87 rushing yards and 2 rushing touchdowns against the Green Bay Packers. The Saints might let him get a few more carries over Reggie Bush if they let him play in week 14 to allow Bush to get the rest he needs. Wait for week 14 or 15 before you start Bush again. If you’re having problems with your running back position and you need to make the playoffs, you might want to consider dropping Reggie Bush. Look for Kevin Faulk of the New England Patriots, Mewelde Moore of the Pittsburgh Steelers, and Peyton Hillis of the Denver Broncos if they haven’t been picked up. Running Back Tatum Bell of the Denver Broncos was expected by a lot of fantasy football owners as a potential sleeper pick but ended up as a fluke. I wouldn’t count on him for the rest of the season. 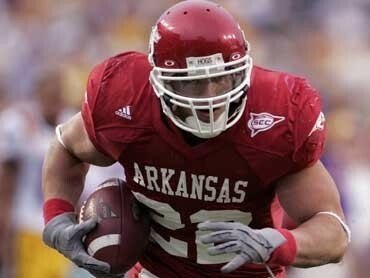 Running Back Peyton Hillis will carry most of the rushes for Denver as long as he keeps doing what he has been doing for the past 2 weeks. In week 12, he carried 12 times for 74 yards with an average of 6 yards per carry. The Cleveland Browns, Philadelphia Eagles, and the Seattle Seahawks are a team you should stay away from. I wouldn’t start any of their players except for Tight End Kellen Winslow of the Cleveland Browns because they are struggling teams that aren’t going to produce for you. Quarterback Donovan Mcnabb of the Philadelphia Eagles is struggling right now and isn’t getting any support from his team, his coach, or his fans. Mentally, he will be down and until he can prove that he can come out of his slump, do not start him. A once first round draft pick, Running Back Brian Westbrook of the Philadelphia Eagles is also a player who you probably don’t want to start. He is still hurt and even though he’s playing through the pain, he obviously isn’t producing the stats he needs to for you to win. Look to sit him out for week 13. Look at your starters and keep them in unless you have the starters I’ve named in this article to bench. Remember, play the game smart and don’t risk anything yet. Your team is on the line and you NEED to make the playoffs! Leave comments and I’ll respond to them with any tips I can offer.